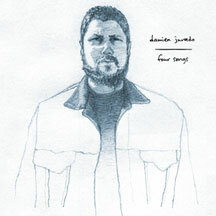 Seattle based singer/songwriter/folk musician Damien Jurado offers four new songs, recorded during the same period as material for his fourth Sub Pop release. The obverse to this vinyl only release is an etched illustration by Jeremy Dybash and a short story by Adam Voith. This is the first in a series of one-sided LPs from Burnt Toast Vinyl.